Tattoos. What is one word that comes to your mind when you read that word? For me, it is PERMANENT. Always will be there no matter what you try to do to get rid of it. 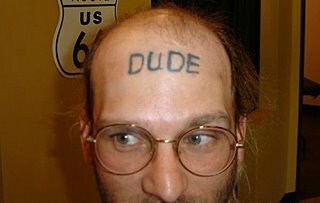 People do all crazy type of things when it comes to tattoos such as getting tattoos of their girlfriend/boyfriends name…. not knowing that there is a slight chance that they will not last forever. I mean, in some cases they do last forever, but young love, now that usually does not. That comes with a lot of regret after getting a tattoo of their name. Dr. Anthony Youn tells us some of the tattoos that have once been known as “in” and now have become “out.” Some of these are the barbed wire around the muscle of a man’s arm, chinese letters on ladies, and tattoos located on the lower back known as “tramp stamps.” No wonder why people are regretting these tattoos. Who would want these tattoos on them now? It may have been the cool thing to get back then, but think about it. 10 years later it will no longer by the “in” thing and you may regret the decision. He states that even celebrities regret their tattoos. Celebrity Hayden Panettiere got a tattoo that said “Vivere senza rimpianti.” Want to know why she regretted that one? Because the word rimpianti was mispelled. Ironically, the tattoo means “Live Without Regrets.” This really made me laugh! Now that is definitely regretful considering that was a mistake from the tattoo artist and not yourself. Not only are these permanent, but “Tattoos can also cause significant medical problems. A 2012 article in the New England Journal of Medicine described contaminated ink causing infections of nontuberculous Mycobacteria (NTM).” People can even become infected by inking their body. Now that is something I would not want along with a tattoo that is permanent forever. “Because laser tattoo removal uses heat to destroy the dyes, there’s no guarantee that it won’t leave behind scarring, discoloration, or an outline of the previous design.” Even if you remove the tattoo, it may leave a scar which is ALSO permanent. Just from reading this article, I do not even think I want to get a tattoo if I were to get one. One lady got a tattoo written on her lower abdomen saying “Dinner is served”….. Mind you, she is a grandma now. Of course she regrets that and wants it removed, but it will always be there. No matter what you do with the tattoo, in some way, it will be there forever. I think tattooing is a great side step from your “always there, never gone” theme. I have never gotten one for that reason. Even if there is a meaningful picture or quote, I don’t want it on for the rest of my life. Perhaps it is because I am too indecisive. I can understand why people tend to call tattooed people “free spirits” – because they are likely not considering the impact that ink will carry! I’ll never understand how my brother gets a new tattoo whenever he’s feeling the urge, but I suppose we all have our own pleasures.